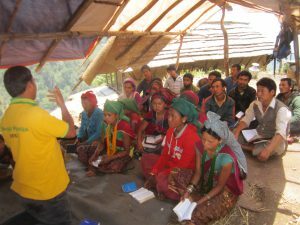 To provide advanced, leadership training in strategic, local congregations throughout Nepal that have been particularly effective in evangelism and discipleship. These congregations will serve as regional hubs where NGOC can provide church-based trainings that will eventually impact thousands of lives and make disciples. Trainees will also be able to immerse themselves in the church-life of these larger congregations, learn, and go back to their respective villages to impart what they have experienced. Prior to 1950, there were virtually no Christians in the Hindu kingdom of Nepal but since that time, and under considerable persecution, that number started to grow. By 1991 there were approximately 30,000 believers, and by 2001, approximately 600,000. Today conservative estimates put the number of believers between 1,000,000 and 2,000,000. 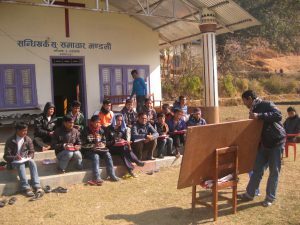 With this steady growth and response to the gospel, the great need in Nepal is to train leaders–especially those working in the villages outside of the major cities. 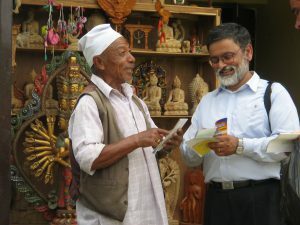 Resham Raj Poudel was a member of the highest Hindu caste (Brahman) and a Hindu priest when he committed his life to Christ in the 1960s after reading a copy of the New Testament which sovereignly came into his possession. At the time there were fewer than 100 Nepali Christians in this country that did not allow gospel-preaching Christians in. The only foreigners and the few Christians that were allowed in were involved in social work, and were required to sign a declaration—under penalty of jail time or expulsion—that they would not propagate their religion. Undaunted, Resham began traveling by foot to district after district in Nepal, personally visiting 72 of the country’s 75 districts, preaching the gospel. 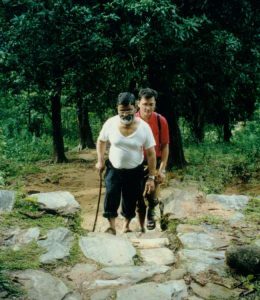 He was imprisoned, tortured, beaten, and had his leg broken, but as Resham recalls, “those times in prison, even though difficult, were most precious because Jesus was so near.” Through 1988 persecution remained very severe in Nepal. Resham married his wife Sita, who has her own testimony of suffering persecution for the gospel. Because he was gone for so long at a time reaching tribes in the remote mountain areas and jungles, Sita encouraged Resham to begin collecting the names and addresses of people he had visited along the way. She was afraid that after he moved on they might forget the teachings that he brought. As she received names, she began writing to people and in 1984 began a Bible Correspondence Course, enlisting volunteers and working out of the bedroom of their home in Pokhara. In 1992 they formally started an umbrella ministry for their work called Nepal Gospel Outreach Center (NGOC). Those completing the correspondence course (which ends with a declaration of one’s faith in Christ) are invited to participate in discipleship training and leadership training classes. Until now, more than 10,000 have received various levels of training. Through these men, women and youth, God has opened the eyes of countless thousands and brought them into the kingdom of light. NGOC has been responsible for pioneering more than 250 churches throughout Nepal, having turned over 150 or so to others to lead (though still maintaining close relationships), They are now focusing on working directly with around 100 churches. They have approximately 60 full-time workers and 40 who are part-time or volunteers. In the last six years, NGOC has deliberately made all of their trainings local-church based. Many of the churches where they hold trainings are very poor and lack adequate facilities. Because Nepal is an impoverished country lacking in economic development, most of the homes or small meeting facilities that have been constructed are made from local natural resources such as stone, mud, wood, and hay. Often, the kitchens are dark, unventilated and smoky. When a gospel worker comes to the village, believers sit on the floor for days at a stretch listening intently, taking notes and making their beds for the night, all in several square feet of space. At times when there are male and female trainees, females huddle in one corner of the largest home or worship hall, males in the other and the trainers in the middle attempting to form a barrier. But the trainees are too humble to complain. Occasionally, trainings are also held under the shade of trees or the open skies. Once a year, they hold a special training meeting for seventy-five days for potential servant leaders of local churches recommended by their respective congregations. In the past of months, NGOC has purposely prioritized follow-up work to their students and trainees in districts worst hit by recent, major earthquakes. They are trying to reach about 50,000 who have completed the correspondence course through post. In the five districts they have visited so far, they have been encouraged to find many who came to Christ through the correspondence course still following the Lord, and some who have become pastors, elders or deacons in the churches they serve. NGOC has also felt led to help invest in the infrastructure of local congregations that have been particularly effective in evangelism and discipleship. These congregations with improved facilities will serve as regional hubs where NGOC can provide church-based trainings that will eventually impact thousands of lives and make disciples. Trainees will also be able to immerse themselves in the church-life of these larger congregations, learn, and go back to their respective villages to impart what they have experienced. 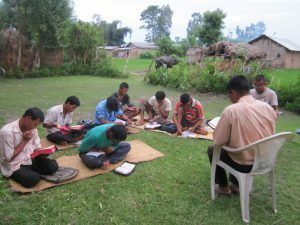 This year 14 participants from various NGOC churches in various districts of Nepal will travel to different key villages to conduct five different segments of training lasting 15 days each. Funds for this project go primarily to fund travel expenses and hosting of those coming in from different areas for the training.